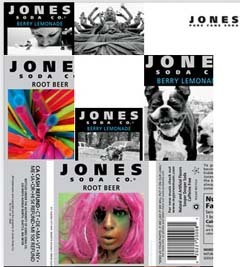 Back in 2000, a tiny brand named Jones Soda used their website to ask their mostly teenage customers to suggest new flavors, names, and labels and let other customers vote on which should make it into stores. Since then, they’ve posted 676,653 user-created labels and become a nationally distributed brand with a cult following. A PSFK post notes that crowdsourcing flavors, slogans and labels is the latest thing in Japanese beverage marketing. The goal in 2000 and now is to give users a personal attachment to the products, and the brands, through their involvement in the community. You go to the store. You see two brands. One asks your opinion, amuses you, engages you in product development. The other tells you how great they are and could care less what you think they should call their new flavor. Which one would you buy? To those brands still wondering if they should get involved in social media: doh. 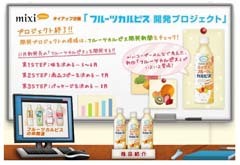 Japanese beverage maker, Calpis has adopted a similar strategy, crowdsourcing flavor combinations from Mixi users for their fruit Caplis series. The collaboration included not only the flavors, but also the packaging design and advertising copy. The winning entry for mixed fruit was a blend of apple, pear, mandarin orange, and banana. Since geeks spend a lot of time online, and are known to consume huge quantities of instant noodle soups, Cup Ramen maker Acecook created a match made in heaven by collaborating with Japanese social network giant Mixi to create new flavors and community. According to CScout Japan, the more than 4000 members of the community could vote on flavor variations and even marketing slogans to promote the products that they helped design. Now that the innovation process is over, on November 28th there will be a special party for group members in Osaka to celebrate the new flavors that are being released in a few weeks, including Collagen noodles, Milk Tantanmen, Bacon, egg, & vegetables, and Ginseng Chicken. Gotta go now. Water for my Ramen Noodles is boiling.